There are a lot of people who have timeshare contracts that either have no end date or the contract only possibly finishing after they die. Some people are seeking legal representation to get their contracts annulled to make sure that it does not get passed on to their children. Others are extremely happy with their timeshare and wish to leave it to loved ones for them to continue enjoying it as much as they did. For people already looking to exit from their timeshare seeking expert advice is definitely the way to go and here at Timeshare Advice we can assist you with that. We have already helped many people in similar situations. 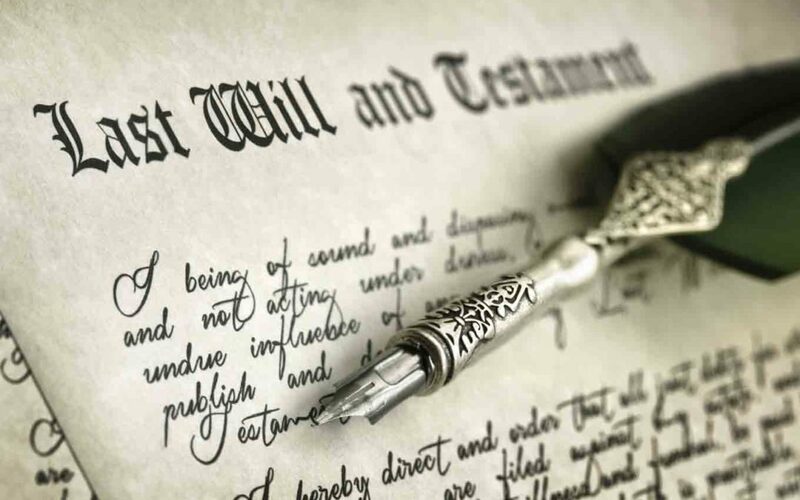 If it happens to be that you are the recipient of a timeshare left in a will, you may be less than enthusiastic about continuing with your families tradition. You may have received the timeshare due to a deceased loved one making a clear decision and entering it into the will or even by default. This could be when your loved one didn’t make a will but the contract states that it is the responsibility of a partner or children to continue after the named party has passed. It doesn’t matter how the timeshare has been inherited, if it isn’t wanted it can quickly become a burden. There are very few people that want timeshare willed to them due to it having a negative value, as it is not worth what the deceased actually paid for it. Another issue people find is that this ‘gift’ is something they are going to have to pay annual maintenance fees for. If you find yourself in this situation it does not necessarily mean that you are stuck with it, there are things that can be done if this is a responsibility that you don’t want to take on. We can’t stress enough the importance of NOT using the timeshare. Don’t even take a visit to take a look for yourself as this will show the timeshare company that you are showing some interest in your inheritance and this can make it harder for you to get out of the timeshare. Make sure you thoroughly read through the contract and look for any clauses that detail the length of the contract. If the clause exceeds 50 years or no end date is specified then it is highly likely that the contract is illegal. The next thing to check for is anything that specifies what will be done with the timeshare in the event of the named persons death. Although unlikely, there is a small possibility for the contract to contain a clause annulling the contract in this event. Timeshare contracts can be hard for people to understand and even though we suggest that you have a read through yourself for you to get a handle of the situation, it is imperative for you to contact a timeshare specialist to help you with the process. Even in the case of finding a contract illegal if it exceeds 50 years, an in perpetuity clause, using a timeshare specialist is hugely beneficial to you as they will have the experience necessary to get it dealt with as efficiently as possible. Even if the timeshare contract does not contain a perpetuity clause, the timeshare expert can help release you from this inheritance. They will help you to disclaim it, which means signing a written refusal of the timeshare inheritance which has to be filed within a specific time-frame for it to be valid. It is important to note that if you are under 18 years of age, you can be in line to inherit timeshare although the financial responsibility is unlikely to begin until you turn 18. Get this disclaimer signed as soon as you come of age to prevent taking on the financial burden. Once the disclaimer is signed, timeshare companies have been known to pass the inherited timeshare on to the next person in line. Timeshare companies can be very persistent so make sure that you tell other members of your family what is going on throughout the process so that they can be prepared and go on to sign a disclaimer as well. The next stage, after signing the disclaimer, is for the timeshare expert you have chosen to work with to work towards getting the contract nullified. Once everything is complete you should be completely free of the inherited timeshare. Contact us today on 0800 072 4683 for further information and assistance. See our recent post regarding being sued by the resort.